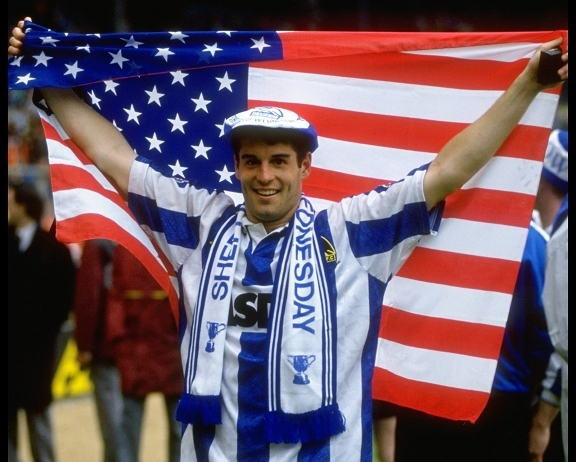 There may be a revolving door for players at football clubs but there are just some who are destined to be talked about for generations, and the affection reserved for former USA midfielder and captain John Harkes at Sheffield Wednesday is more than reciprocated. Debates and disagreements between followers of the game all over the world are rife on a daily basis and the ‘size’ of a club is often discussed in detail, with on-pitch success and attendances two of the biggest factors that are brought into the equation. Sheffield Wednesday are aware of this more than most and during 13 years outside the top flight the compliments from players and managers regarding the club’s prestige have seemingly gone hand-in-hand with opposition supporters declaring that the now-second-tier Owls are no longer worthy of such acclaim. What surely cannot be argued though is that Wednesday were rightfully up there amongst the English game’s very best little over two decades ago. 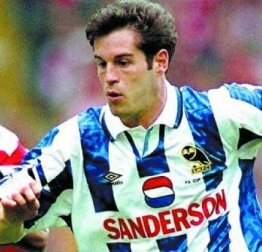 There was League Cup glory, FA Cup finals, European football and a third-place finish the year before the Premier League, and one man who recalls it all as if it was only yesterday is the club’s eternally-popular former midfielder and USA captain John Harkes. Although English football has been blessed with accomplished US players for a number of years it was a very different scenario back in 1990. 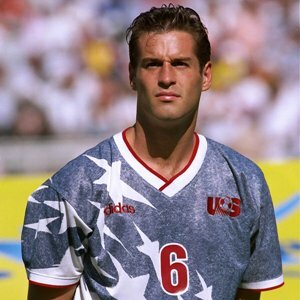 The likes of Tottenham Hotspur’s Clint Dempsey were in the midst of childhood when the Kearny, New Jersey native John Harkes broke new ground by joining Ron Atkinson’s Wednesday side who were at that time in the Second Division and plotting a return to the top flight. John was pivotal in paving the way for today’s stellar American names in football and he feels he owes a debt of gratitude to the man who took him to South Yorkshire. ‘Big Ron’ guided Wednesday to promotion in John’s first season in England with a third-place finish in the second tier that saw them reach the top flight along with Oldham Athletic, West Ham United and Notts County. It was a fantastic achievement but what really made English football sit up and take notice was the stunning victory over Manchester United in the League Cup final that season. April 21st is a date that is ‘St. Sheridan’s Day’ to the blue and white masses in Sheffield by virtue of the majestic Irish international midfielder John Sheridan’s right-footed winner in the 1991 Wembley final and the word ‘dink’ perfectly accompanies the recollections of the goal as it crashed in off the late Les Sealey’s post. There were 77,612 under the famous Twin Towers on that Sunday afternoon as The Owls ripped up the underdog tag and the roar as captain Nigel Pearson lifted the trophy and the scale of the success is still fresh in the mind for John. “What a day, what a time, and certainly an amazing achievement for the club, and for the players while we were in the old Division Two. Ron Atkinson gets huge credit for that win; I understand the players are the ones on the pitch, but he and (assistant) Richie Barker and the staff did everything right in the build-up and the preparation. Bill Regan may have been the first American to play at Wembley (in the 1949 Amateur Cup final for Romford) and Colchester United’s Mike Masters the first to score there, but John was both the first to win the League Cup and the first to play in the Premier League. He captained his country and won 90 caps, scoring six goals as well as featuring prominently in the 1990 and 94 World Cups, the latter of which was on home soil. A National Soccer Hall of Fame inductee, ‘Harkesy’ found a second home in Sheffield as part of a team that made Wednesday supporters as happy as they have ever been. The Rumbelows Cup victory will never be erased from the memory of Owls fans who witnessed it and it should be a rite of passage to learn about it for the generation who were too young to remember it (including myself at 22!). The significance of the occasion and the way the supporters feel about the achievement is mirrored in John’s heart too. “Thinking back, wearing the blue and white for Wednesday on the sublime Wembley pitch is a dream come true. Many say the game is made up of moments, well that day was one of, if not the most special moment of my career. “When John Sheridan put that ball in the back of the net I felt that we had it won. There was a self-belief in that wonderful chemistry of the team. In the closing moments of the final, Wednesday striking hero David Hirst played a searching through-ball for Paul Williams which just evaded him. Only a second or two later the sound of the final whistle rang out and the joyous celebrations ensued. Music is the other theme of this site and John recalls some of the sound choices you could hear in the Wednesday dressing room back then, with the aforementioned frontman Williams getting praise for his movement off the ball! “Nigel Pearson, (Carlton) Palmer, and a few others had music on – all mixed music, UK, early 90s, dance tracks. I liked the Smashing Pumpkins, Jesus Jones, Beastie Boys, U2 of course. “There were some good singers and bad – Phil King loved to belt it out, good laugh. I think we were all tone deaf anyway! Music has been part of the Harkes family and John’s father James, a Scotsman who used to play for Dundee Juniors, was a big influence on him on and off the field. It was in my interview on here last year with John’s former US teammate Alexi Lalas that he revealed Harkesy and ex-keeper Tony Meola’s love for classic rock when the national team was together and there is someone John attributes his own taste to. “In my youth, my older brother had a huge influence on my musical tastes. Led Zeppelin, (The Rolling) Stones, The Who, U2, The Clash, AC/DC were all being played on Jimmy’s stereo system – old school! A former University of Virginia student, John’s early musical education continued with the first record he ever bought – the fourth album from one of rock music’s all-time great acts. “My first album purchased was ‘Led Zeppelin IV’, most likely at the age of 10. I fell in love with blues rock, (The Rolling) Stones had plenty as well. “I started to get exposed to Pearl Jam quite a bit as I got older. Eddie Vedder has soul on his voice – great stuff. 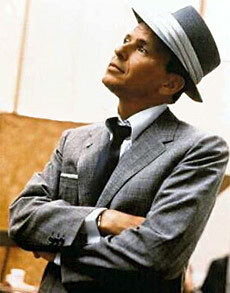 The Chairman of the Board: Frank Sinatra, a Harkes family favourite. 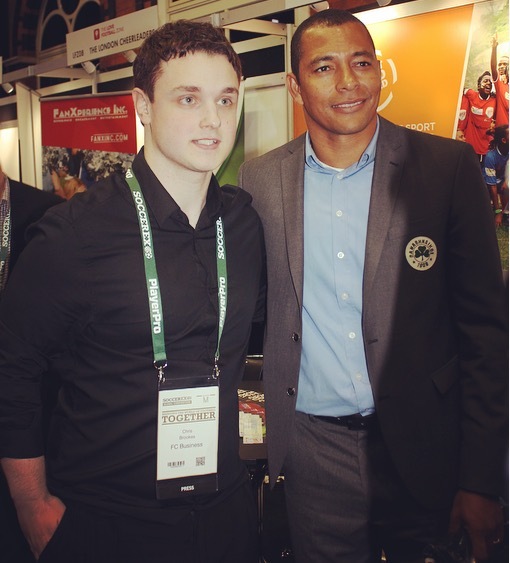 An MLS Cup winner with D.C. United in 1996 and 1997, John’s international debut came against Canada in 1987 and his role in the progression of the sport in the US is clear to see to this day. He was one of the national team stars who was allocated to Major League Soccer’s founding clubs in 1996 and represented his country at the 1988 Olympic Games in Seoul, where he met future Wednesday teammate and another Owls idol, Roland Nilsson. He actually played for Wednesday against his nation in a friendly in Philadelphia in 1991 and even kicked a ball through the window of the White House, although it was in an Adidas Predator advert! Harkesy was also honoured as the 1995 Copa America co-MVP alongside Uruguay’s Enzo Francescoli, a hero of Zinedine Zidane. Motivation in sport goes together in harmony with music and for John he had his favourites he would turn to before the moment to head out on the pitch arrived. “I tried to play tunes that would lift you up, good jams, which to me were classic rock. U2 was strong with me in my teens, as was Ian Astbury and The Cult. En route to the 1991 League Cup success, John made his mark in unforgettable fashion on a night at Derby County’s Baseball Ground, where he would later play for The Rams. He had started out with the reserve team after signing for Wednesday but got his chance in the starting line-up against Swindon in the absence of the injured Roland Nilsson. This meant playing in the unfamiliar role of right-back but he grasped the opportunity and in the fourth round replay with Derby in December 1990 he got his first goal in England. The sensational long-range effort past England’s all-time most-capped player Peter Shilton was nationally crowned ‘Goal of the Year’ and is always brought up in discussions of the best ever Wednesday goals. I’ll let the man himself take us back through it. “My first goal, against Shilton, was, and is, absolutely the best and most important goal I have scored – hard to put into words really. I am sure it happens to many players, instinct is what comes to mind. “I received the ball from Nigel Worthington on the switch, prepared it forward, no pressure. I put my head down, struck the sweet spot of the ball and it took off, upper-90. While John was plying his trade at Hillsborough, his wife Cindi, part of the Virginia-D.C. Soccer Hall of Fame, started the Sheffield Wednesday Ladies team. John used to play snooker with the locals at The White Horse Inn in S6, although he told the regulars he was a beginner, before surprising them with his skills he learned playing pool back home! He was as firm a favourite with the supporters as you are ever likely to find and he looks back on his time spent living in the city. “While in Sheffield I stayed with my good friends, Joe and Barbara Walker. We met through Joe’s brother Sean and they had room for me to move in and get out of the Hallam Towers Hotel, which may have changed names at this point. “I loved it, a home away from home. Great people, warm and friendly like the people of Sheffield, very welcoming. “I have to tell you, though, when I first arrived and realised that Sheffield Wednesday’s ground was the site of the Hillsborough Disaster it really saddened me and made me reflect back to the wonderful football fans and families that suffered on the horrible, tragic day. Initially, I didn’t realise it, but then once I put it together, wow, just makes you think. “I listened to so many stories of that fateful day from anyone that would share. It wasn’t easy, but I wanted to be part of this club and I needed to know what the history was. “This club became a family to me. The town, the club, the people were and still are brilliant – they welcomed me in with open arms. In his three years with the club, Wednesday finished 3rd in the Second Division, 3rd in the First Division and 7th in the first season of the Premier League. 1993 saw Wembley become a second home to the club and its supporters as the team now under Trevor Francis reached both the League Cup and FA Cup final, facing Arsenal in each competition. On the 18th of April, Wednesday took on the Gunners in the League Cup showpiece and snatched the lead in the 8th minute through John’s low right-footed shot buried beyond David Seaman. Unfortunately, Paul Merson equalised with a deflected effort before Steve Morrow grabbed the winner in the 68th minute in front of a crowd of 74,007. The following month saw The Owls up against George Graham’s side at Wembley twice more, with 79,347 gathering for a 1-1 draw in the original FA Cup final on Saturday 15th May. Ian Wright’s opener was cancelled out by David Hirst and a Thursday night replay followed. With 62,267 in attendance this time, it went all the way to extra-time after Ian Wright scored again for Arsenal before Chris Waddle’s 68th-minute equaliser. Andy Linighan’s 119th-minute winner broke the hearts of Wednesdayites everywhere and John evaluates his experience of the season’s three Wembley dates. “1993 was amazing getting back to Wembley. I talk about the best moments in my career, well scoring against Seaman was extremely special, it would have been even better to win. “It wasn’t meant to be unfortunately, Arsenal were a good side and the games were both entertaining and a battle. The next morning I can remember a few of us were to be on TV, a good laugh that was. “With very little sleep, we met there early to prepare. Waddle was demonstrating his skill in the yard of the studio and Sheridan was cracking me up – great time. “I was, however, very disappointed that I was unable to stay at the club through negotiations with Trevor Francis. We just could not come to terms regarding my value with Wednesday. After leaving the club John had spells with Derby, West Ham (loan), D.C. United, Nottingham Forest (loan), New England Revolution and Columbus Crew before wrapping up a memorable career in 2003. He was also the first US player named in People Magazine’s ’50 Most Beautiful People’, in May 1994, with Hollywood actress Meg Ryan topping the list! A former ESPN colour commentator, he is now a Sirius XM Radio host, presenting ‘Counter Attack’ with ex-US international keeper and long-time friend Tony Meola, who was once on trial at Wednesday with John. 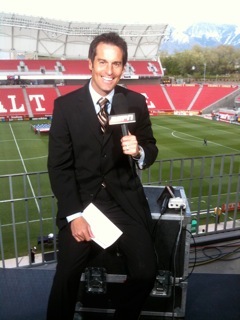 His radio work also includes ‘The Football Show’ and he is Comcast SportsNet chief analyst for D.C. United amongst his coaching and other ventures. Son Ian will turn 18 at the end of the month and he has gained attention for his standout midfield performances in the D.C. United Academy. Could we have another Harkes in the Wednesday midfield one day? When describing the details of John’s time at Hillsborough in a group of players that Wednesdayites used to marvel at, at 22 it is just regrettable that I was too young to witness it first-hand. I did however see him in John Sheridan’s testimonial at Oldham’s Boundary Park in 2005 and he was still pretty handy, as was David Hirst who bagged a hat-trick! In a time when American players were not looked upon as favourably in football, he proved his ability and his character, with his love for pranks and the odd Jim Carrey impersonation winning over his teammates in no time. Harkesy’s path may have started a long way from Sheffield but he got there in the end, and what an impression he left on Owls fans. I want to end with his memories of that 91 cup final glory and the celebrations that followed into the early hours. He is planning a return to the club to visit so let’s hope Hillsborough will be singing ‘Ooh Aah Johnny Harkes’ once again in the near future. “What a night of celebration! I had family and friends come over by the boatload for that one. “Everyone had a great post-game celebration dinner. The chairman organised an incredible reception for the team, family and friends, held at the Hyde Park Hotel.